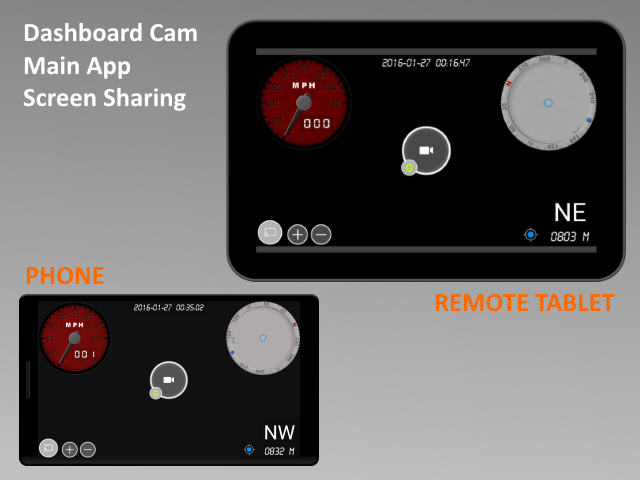 Android Remote Display PC application is for the android app CAMERA REMOTE and DASHBOARD CAM Remote Screen Sharing mode. 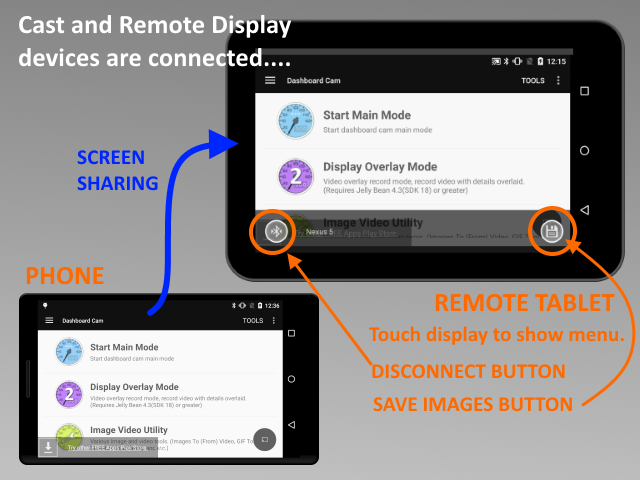 Share android device screen to the desktop pc: Bluetooth and WiFi modes are available. Unzip the file contents onto the folder, then click the execution file. No setup required. Microsoft .Net Platform 4.5 or above is required. 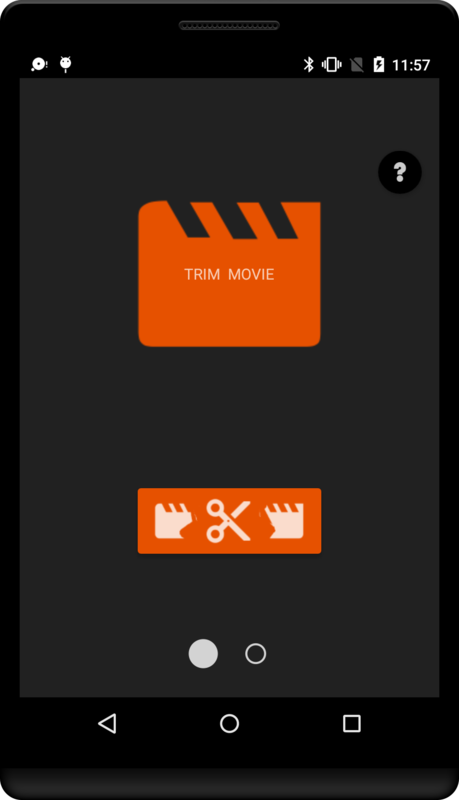 Help for the app main modes and functions. 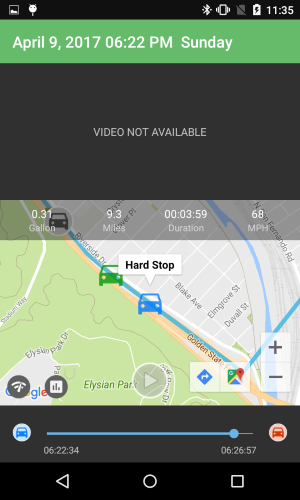 Help for the android wear watch support. Alwasy on top mode (service) help. 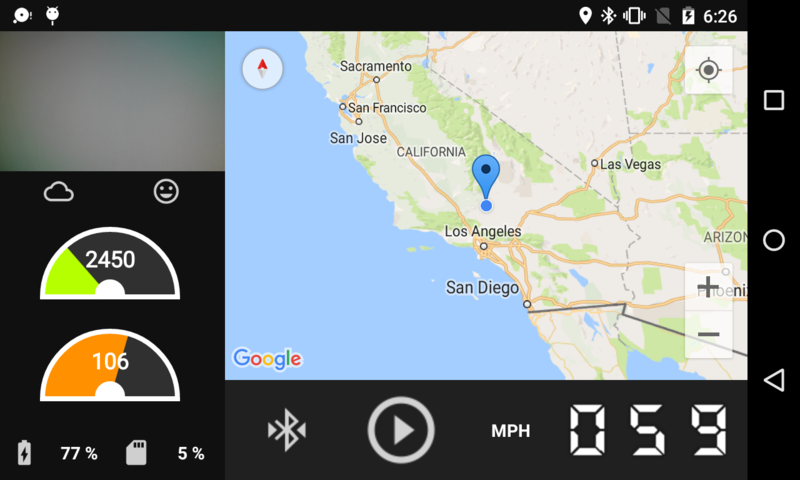 How to use OBD2 interface with app. 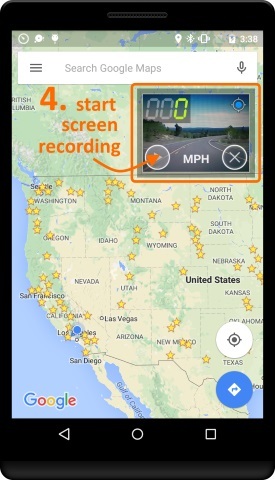 How to use external gps device with app. How to use app remotely. Change default recording folder on available exteranl storage; SD Card. 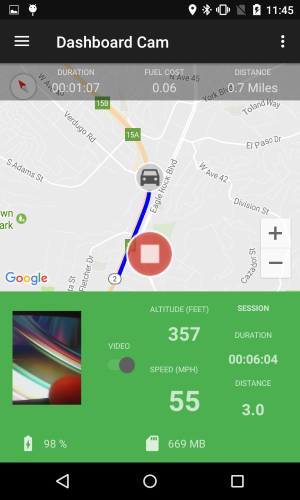 View GPS Map Data and Video Recording with web browser. To move or size display components in main mode or record player modes, press (click) display component. 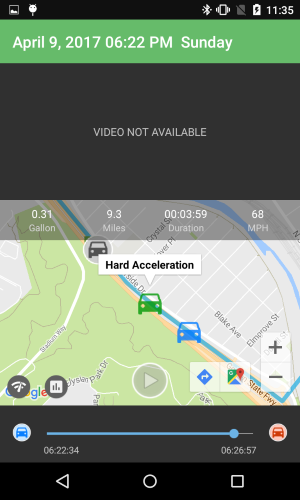 Long Press (click) for the speedo, time, status, zoom, record button, translucent map. 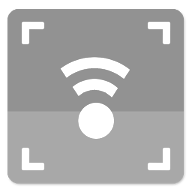 Double Tap (click) for the map component. For wear app sync issues, please try to reinstall the Phone app; otherwise reset wear watch for re-syncing the apps. Main mode display fix for the large screen size devices. To apply fix/update, use "Reset Items" function at the main mode (for app update). New app install will apply fixed versions. 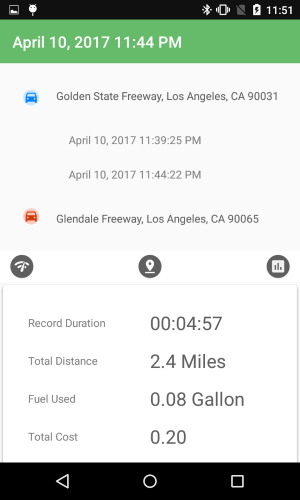 New Easy Mode: simple and easy to use for driving, gps and sensor data recording. 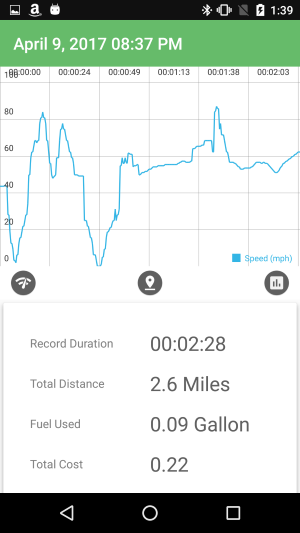 New Record (Trip) Viewer: chart data views, sensor (g-force), speed and gps data. Coming soon: Alert email and message functions, Cloud database and storage sync options. 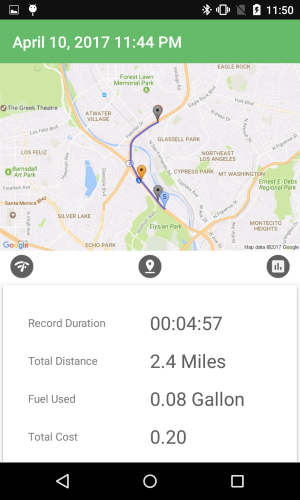 New OBDII Functions: remember and save last connected OBD device, and try to connect when app opens. Record Loop mode update: when device storage is limited, the OLDEST record files will be deleted; check safe size for new recording session. 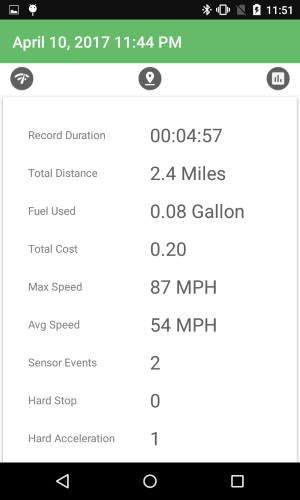 Battery and storage status display have been added. 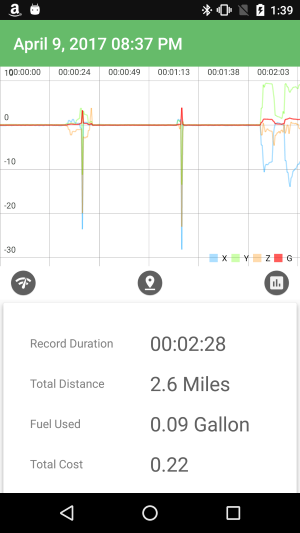 New GPS Stat view on the My Records. Loop Record function update; continuous video recording until the storage space is limited. 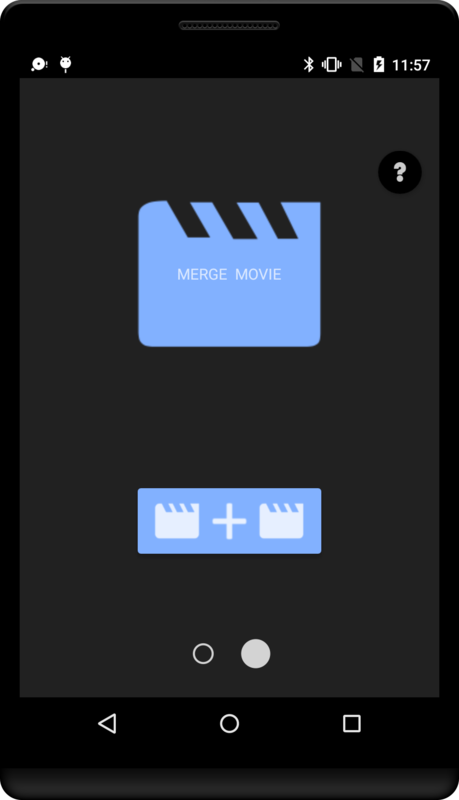 Minor ui update, including File Explorer. 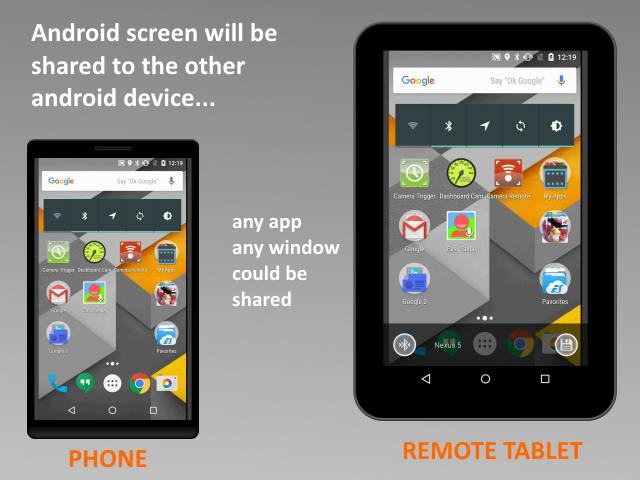 Share android screen to the other android device. 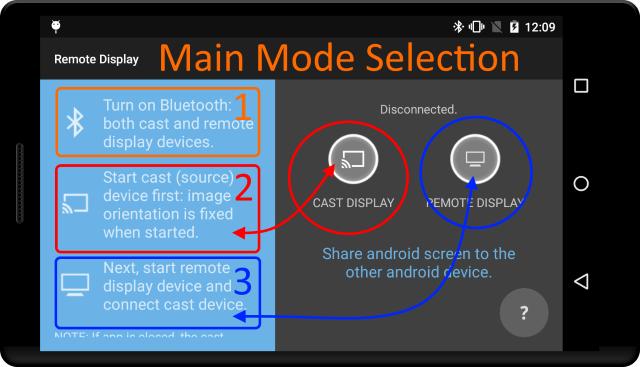 Cast Mode device requires Android 5.0 and above. Please consider to USE LOWER QUALITY sharing when cast mode is started. 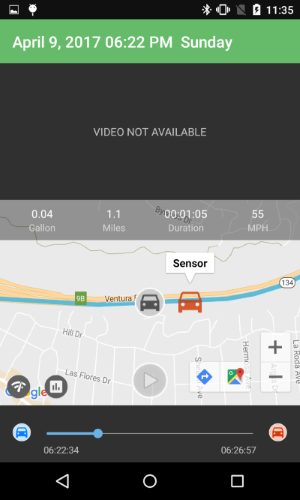 App uses bluetooth connection, it may gives some delays on the remote view. More functions will be added in the future updates. As only tested on the Nexus devices, other brands devices may have issues; please report me the issues. 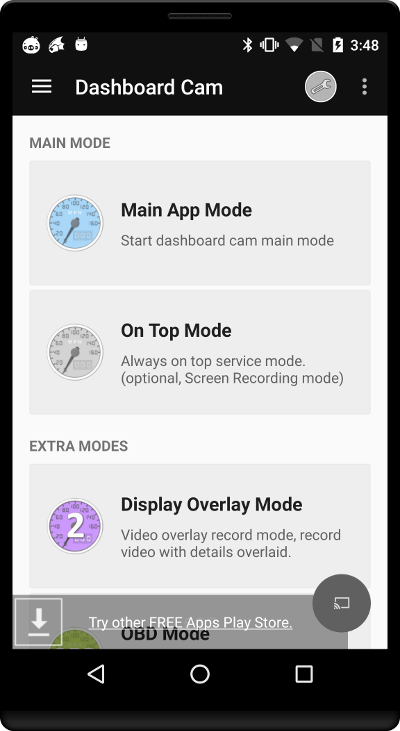 On Top Service update with Screen Recording option. 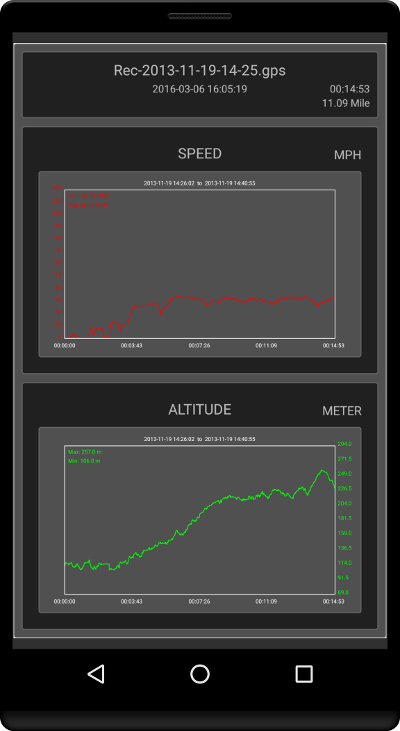 Minor UI (user interface) update. 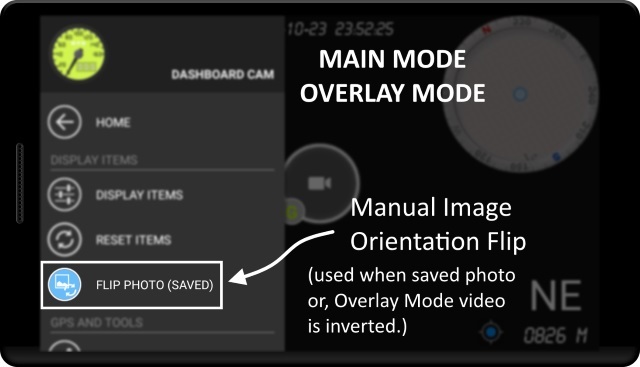 Manual Image Flip option is available at main and video overlay modes.. Saves only the last session video file until user manually stops the recording. Good option for the devices with limited storage capacity. 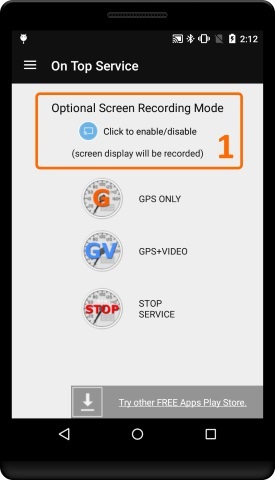 The GPS files will NOT be removed from recording. 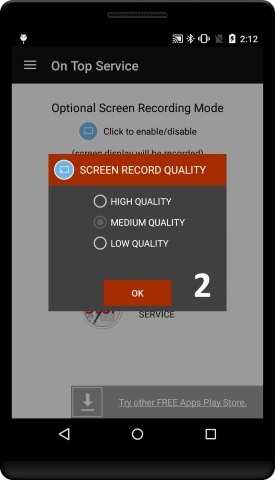 Video sound record option, disable or enable sound for the video recoding. Video Overlay mode bug fixes. 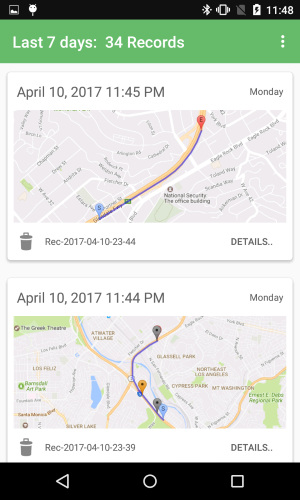 Previous updates: Wear watch connection issue update and fixes.  Images To Video (Time Lapse) standalone app. 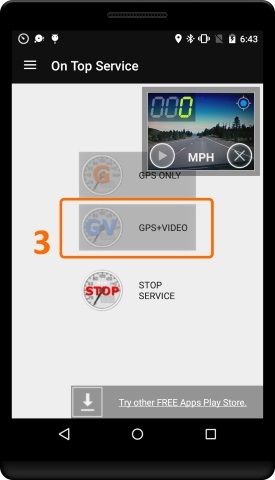 Record mode for the video overlay; gps details overlaid on the video. Currently in beta version, and requires the android devices with Jellybean (SDK 18) or greater. 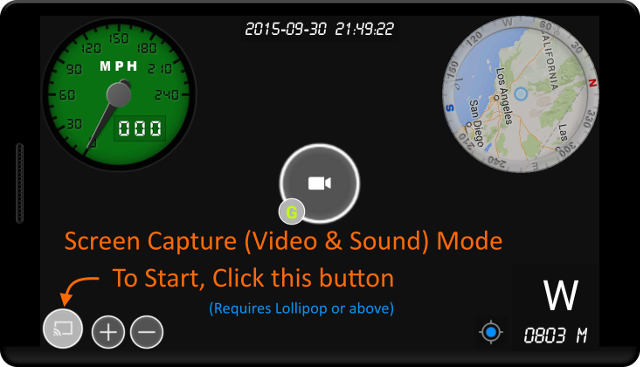 Video encoding functions are based on the android open source Grafika. New gps data record player. 1. Go to android system settings, and select apps. 2. 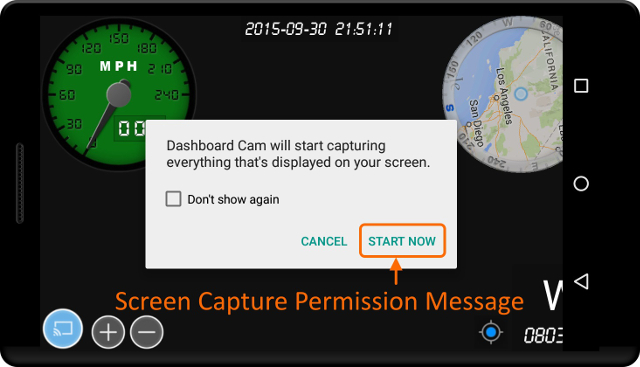 Open Dashboard Cam, click the "Clear data" and "Clear cache". 3. Or, unistall app and install again. The error may cause on some devices, because this version has new App Settings.